With over 30 years' industry expertise, our team of qualified surveyors and assessors are able to deliver complex property and energy surveys all over the UK. Members of the Bierce team delivered some of the UK’s first ever Energy Performance Certificates. Our broad network enables us to keep ahead of legislative developments in a constantly evolving industry. All buildings need an EPC when they are marketed for sale or for let. We carry them out for dwellings and commercial properties and they are valid for 10 years. The Energy Efficiency (Private Rented Sector) Regulations 2015 sets minimum energy standards of an EPC rating of "E" or above for residential or commercial properties which are let. 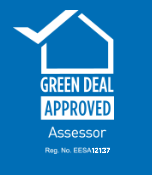 As an accredited Green Deal Assessment Organisation (GDAO) we are perfectly placed to give you advice on the Green Deal and help you realise the energy saving potential of your property. We carry out Legionella Risk Assessments in domestic properties as they are a statutory legal requirement under the Control of Substances Hazardous to Health Regulations 2002. Floor plans and professional photography to assist with marketing packages. Our Chartered Surveyors produce reports which are required where Energy Performance Certificates (EPCs) are created to support carbon saving measures in properties.